(SKNIS): Stakeholders from across the region are currently in St. Kitts and Nevis attending a regional Access and Benefit Sharing (ABS) Project Workshop on Advancing the Nagoya Protocol in countries of the Caribbean. Sylvester Belle, Chief Conservation Officer in the Department of Environment, explained that the Nagoya Protocol on “access to genetic resources and the fair and equitable sharing of benefits rising from the utilization is a supplementary agreement to the Convention on Biological Diversity (CBD), which entered into force in October, 2014”. Alistair Edwards, Permanent Secretary in the Department of Environment, said that the workshop is timely and beneficial, as the Federation of St. Kitts and Nevis ratified the CBD on December 29, 1993, almost 25 years ago. The permanent secretary commended a number of institutions, including but not limited to, the United Nations, the United Nations Environment (UNE), International Union for Conservation of Nature (IUCN), Global Environment Fund (GEF), as well as key regional and international partners such as the Organization of Eastern Caribbean States (OECS), the CARICOM Secretariat, and CBD, for their participation and partnership for making such a timely and beneficial initiative possible. 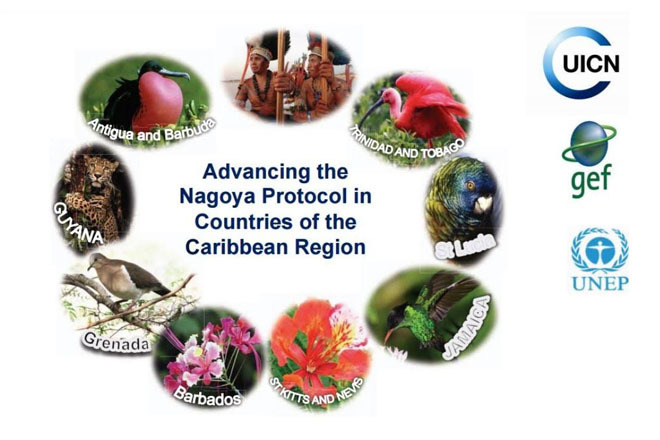 The workshop will run for two days from Monday 19 through Tuesday 20 June, after which two days of national consultation on the Nagoya Protocol will be held on Wednesday 21 and Thursday 22 June. The meeting is hosted by the Government of St. Kitts and Nevis in collaboration with the International Union for Conservation of Nature, Regional Office for Mexico, Central America and the Caribbean (IUCN-ORMACC) with support from the United Nations Environment Programme (UNEP) and the GEF.